Everyone loves vacation, but the work that goes into planning one—well, can be a lot of work. That’s why last year we launched Google Trips on Android and iOS to help you experience more and plan less on vacation. All your travel info automatically organized in one place and available offline? Check. Activity suggestions based on what’s nearby and popular itineraries you can customize? Check. 1. Share and keep track of your reservations in one place. No need to dig up every individual hotel, flight and travel reservation and forward them from your inbox. 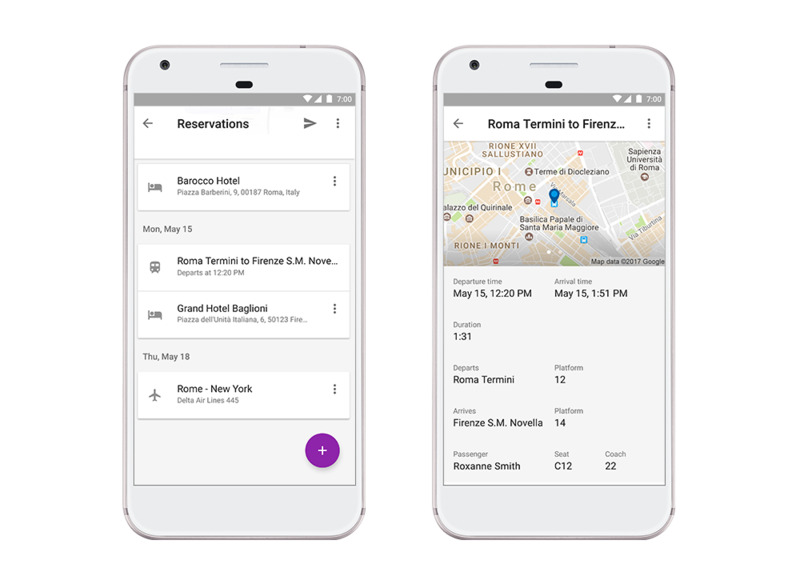 Save yourself the headache and share all the reservations for your trip with just a tap of the arrow button in Google Trips. Anyone you share with will receive an email with all the reservation details, and see them in the app too. 2. Stay on top of last-minute changes. 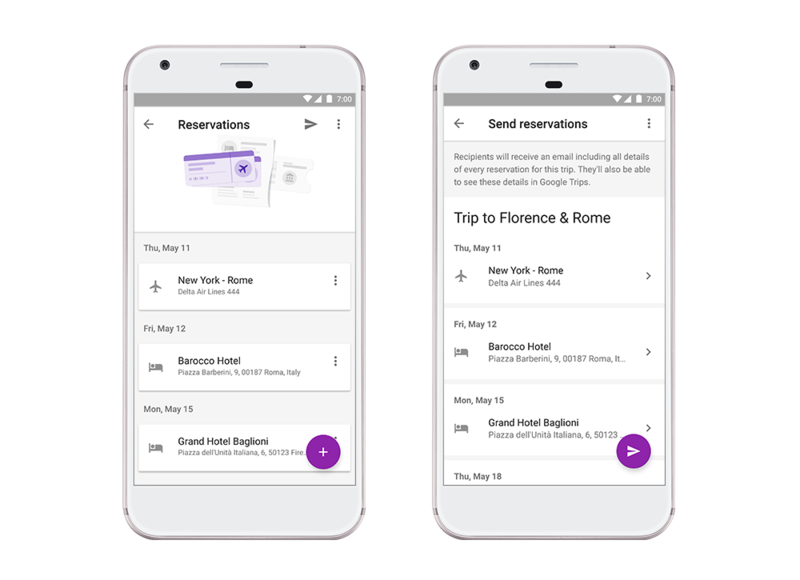 Trips already helps automatically organize your travel reservations from Gmail. 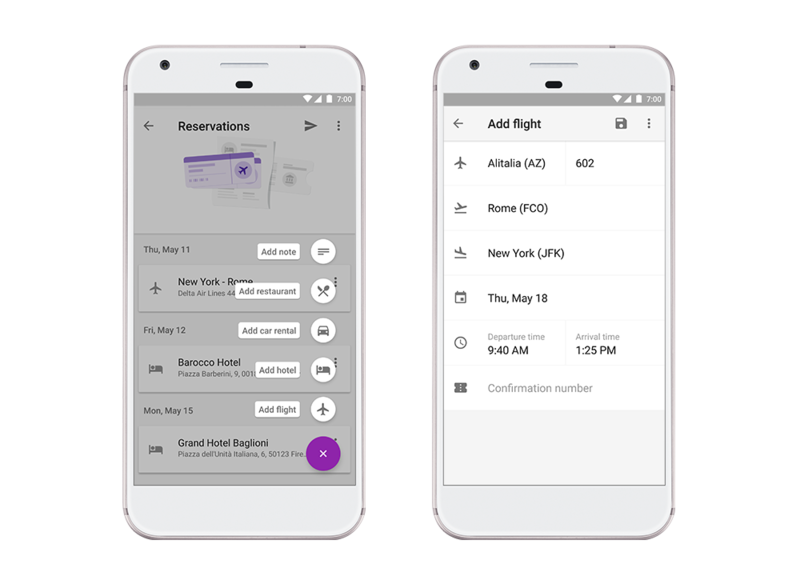 For those last-minute or spontaneous changes, we built in a feature that lets you quickly update and add new details for flight, hotel, car, and restaurant reservations, even when you don’t have an email confirmation. Simply press the “+” button in the bottom right corner within the Reservations section. Enter your airline and flight number, or the name of your hotel, car rental or restaurant, and we’ll fill out the rest. There’s space for free-form notes, too, if you’d rather. 3. Catch a train or bus to your next adventure. Part of the fun of traveling to a new country is visiting the top sights in different cities, and often travel by train or bus is the most convenient way to get around (Rome to Florence by train in 1:30? Sign us up!). In fact, more than 3 million rail and bus reservations are booked weekly by travelers around the world. So starting now, all your past and upcoming train and bus reservations will automatically be organized in one place for you in Trips—along with your flight, hotel, car and restaurant reservations. 5. Download your trip before you go. No matter where you end up, you can find nearby spots to see, check hours and locations for attractions, and review your saved places. On average, nearly a quarter of Trips users are offline for more than seven hours at a time while traveling, and nearly 70 percent use the offline feature and download trips in advance. Even with Wi-Fi available at hotels or local cafes, you can’t always count on a steady connection to get the information you need when you’re out and about, but Google Trips has you covered. Going on vacation should be fun. 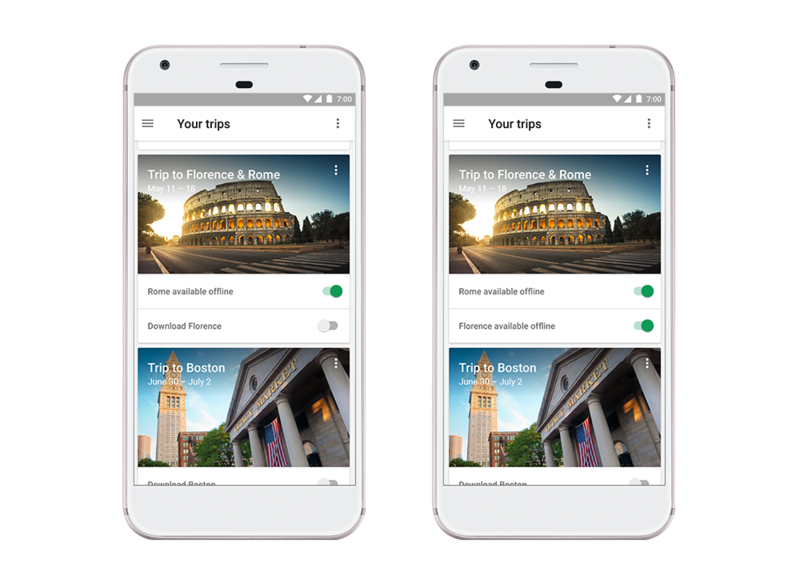 While you kick back, we’ll keep working on Google Trips to make traveling easier for you!